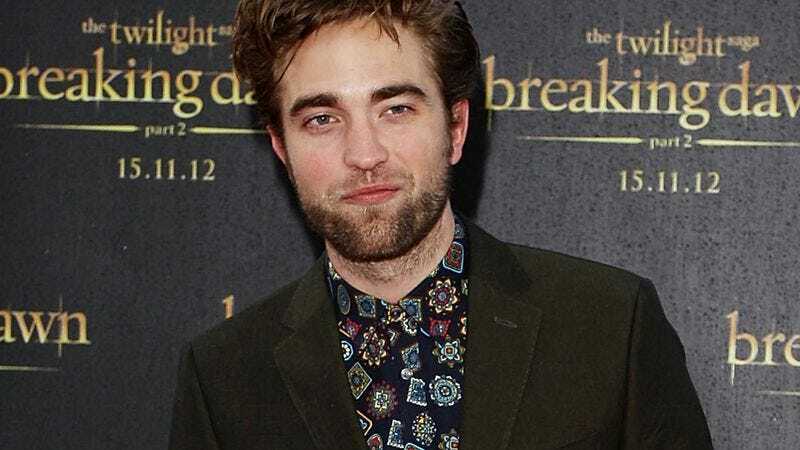 LOS ANGELES—During a press junket for Breaking Dawn Part 2 Friday, actor Robert Pattinson told reporters that with The Twilight Saga now behind him, he is eager to branch out into different, more serious vampire roles. “Twilight has obviously been wonderful for my career, and I’m thankful for its success, but I’m looking forward to extending my range and playing more sophisticated, multifaceted vampire characters,” said Pattison, adding that while he enjoyed portraying Edward Cullen in the five Twilight movies, he’s interested in future projects that deal with “darker, grittier” themes, such as vampire mental illness, vampire poverty, and vampire drug addiction. “I’d love to challenge myself with more complex, harder-hitting material, maybe as a vampire war veteran struggling to return to civilian life, a gay vampire living with AIDS, or a Jewish vampire during the Holocaust.” At press time, Pattinson’s representatives confirmed the actor had just signed on to star in an upcoming biopic of vampire Jonas Salk and his search to find a cure for vampire polio.